This short tutorial is going to show you how to disable / remove the login drumbeat sound in Ubuntu 14.04 LTS. 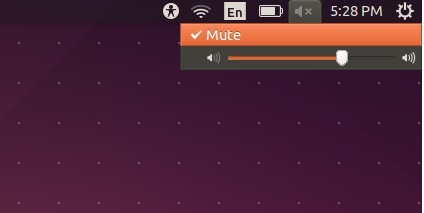 The easiest way to get rid of this annoying sound is mute the volume via the top-right indicator icon when you’re at the login screen. It won’t affect the system volume after you logged in. 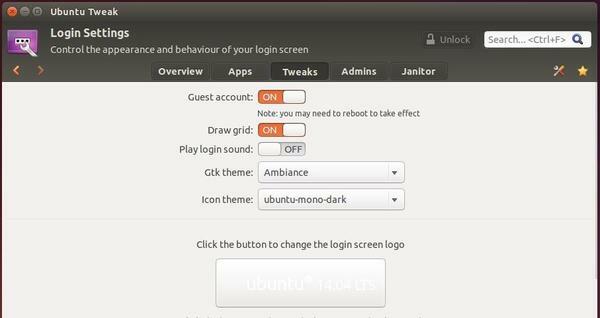 If don’t want to log out right away, you can toggle the login sound via a graphical tool called Ubuntu Tweak. Download the Ubuntu Tweak (.deb package) from the link below and double-click to open it with Ubuntu Software Center and finally install it.